Currently studying sports journalism at La Trobe Uni in Bundoora. Making a bit of money on the side through turfing and industrial jobs. Huge AFL & NBA fan! However I\'m still interested in any sport under the sun. Support North Melbourne & the LA Lakers which is a struggle at the moment. So, LeBron is clearly number one, but who's next? Two weeks ago is a long time in the NBA. A fortnight ago, it was thought the Warriors would coast their way to another championship, having blown Houston away 119-106 on the Rockets’ home court. 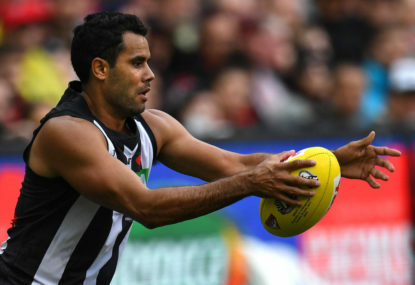 Daniel Wells is a genuine game-changer – when he’s up and running he has the ability to affect a team’s performance like few players in the competition. However, to Nathan Buckley’s discontent, being ‘up and running’ for Wells is often a rarity. 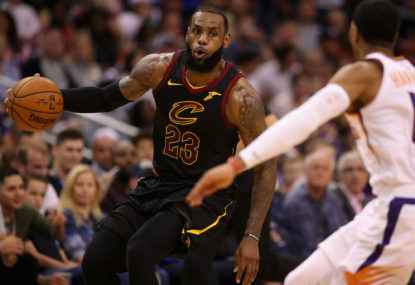 If I include defence then I’d have to mention that number one on the list (LeBron James) often takes plays off on defence. Correct, the ball movement was the difference from game one. But my point is that usually the ball movement is started when either Harden, Paul or Gordon draw the defence and dish out to a shooter. Or by pushing the ball on a fast break. Yeah will be hard for Tucker, Ariza and Gordon to maintain that, but if they defend, move off ball and play with the same hustle they cans till be productive. Also expect Capela to be injected a bit more as the series goes on. Paul has been good but still think he can lift 5-10% and Harden will have another couple of big games in him. 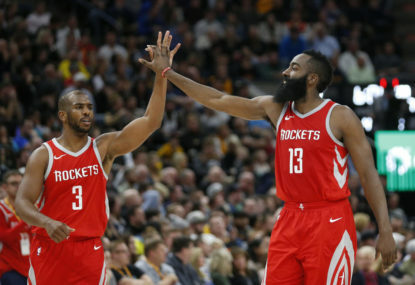 The Rockets should not be favourites but winning the series is definitely not out of the question! Cheers Peter, appreciate the comment! I love Wells as much as the next guy, I’m a North Melbourne supporter. When I made the hot & cold reference I was referring to his ability to stay on the field, not to his form when playing because he is a star when fully fit. I’m not trying to say that Buckley is necessarily a good coach, but I do think that often coaching success depends on the talent they have at their disposal. Hence why the form of Wells might be a deciding factor.